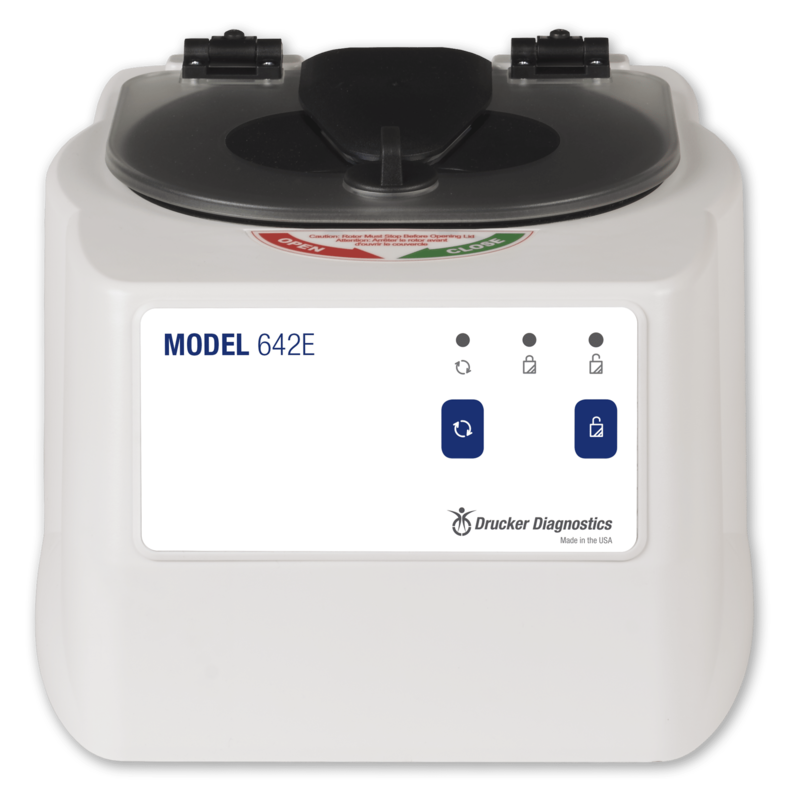 The Model 642E is a compact single-speed centrifuge designed to provide the ideal pre-analytic sample processing performance recommended by all collection tube manufacturers. Using patented rotor technology, the 642E reduces blood separation processing times by 33% while minimizing use of valuable counter space for the doctor’s office or lab. The performance of the 642E reduces patient redraws by keeping your patient samples cool during processing, providing a high quality and stable gel layer, and maximizing sample integrity. It’s no wonder that the 642E is the world’s best-selling clinical laboratory centrifuge. Can the Model 642E be used with 220 line voltage? No. If the intended voltage is not a standard 120V, 60Hz supply then either the HORIZON 6 or the HORIZON 6 Flex would be the correct choice of centrifuge. What should be used to clean and disinfect the Model 642E?